Sydney is one of, if not THE, primary gateways to Australia. A hub for both international as well as domestic flights, you should not have any trouble finding your way to this iconic city. Upon arrival, find the CityRail train station at the airport for access to the city/suburbs. Train fare into the city is around $16AUD. There are currency exchanges and ATMs at the airport if you need to get Aussie Dollars upon arrival. As usual, its a good idea to have your first couple night’s accommodation sorted prior to arrival- print out a map with directions and make sure you have a contact phone number for your hotel/hostel. That way, you'll know where you’re headed when you land, and don’t have to figure anything out after a long flight in. Despite the jet-lag, you’re sure to be excited once you’re headed into the city... Good on ya’, mate, and WELCOME TO SYDNEY! Visit the Sydney Opera House- go to a show, take a guided tour, or simply climb the stairs and have a look around. No visit to Sydney is complete without a visit to the iconic Opera House. Explore ‘The Rocks’- one of the oldest neighborhoods in Sydney, full of corner pubs, quiet little cafes, and innumerable shops catering to all budgets and tastes. Check out the weekend Farmers’ Market for all kinds of arts and crafts for sale. 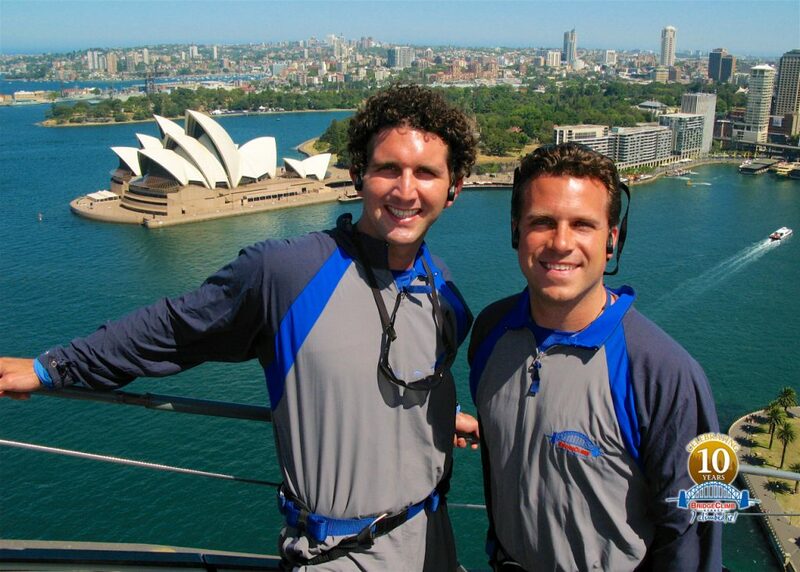 Climb the Harbour Bridge- BridgeClimb Sydney offers the unique experience of a guided tour to the top of the Harbour Bridge. It is a bit pricey (Upwards of $220AUD in peak season), but well worth the investment for a once-in-a-lifetime experience (Or, in my case, ‘thrice-in-a-lifetime’- so far...). If thats too steep for your Backpacker’s Budget (Or your sense of vertigo...), you can climb the 200 stairs to the Pylon Lookout (SE Pylon, the one nearest to Circular Quay) for around $10AUD, taking in exhibits detailing the history and construction of the bridge along the way. Of course, it’s absolutely FREE to walk across the bridge on the pedestrian walkways- just watch out for the bikers! 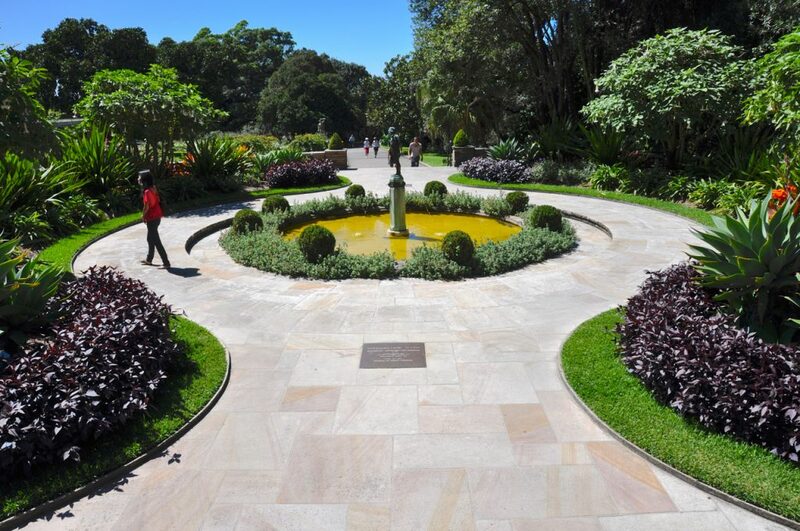 Stroll through the Royal Botanical Gardens out to Mrs. Macquarie’s Point- a lovely walk on a sunny afternoon, complete with flowering ferns, locals picnicking on the immaculately manicured lawns, and the seemingly ever-present wedding parties posing for pictures with the city skyline in the background. Macquarie’s Point provides one of the best vantage points for photos of the Opera House, the Harbour Bridge, and the city skyline. Take the ferry to Manly- a suburb on the North side of the harbour, Manly is a great destination for a day-trip. 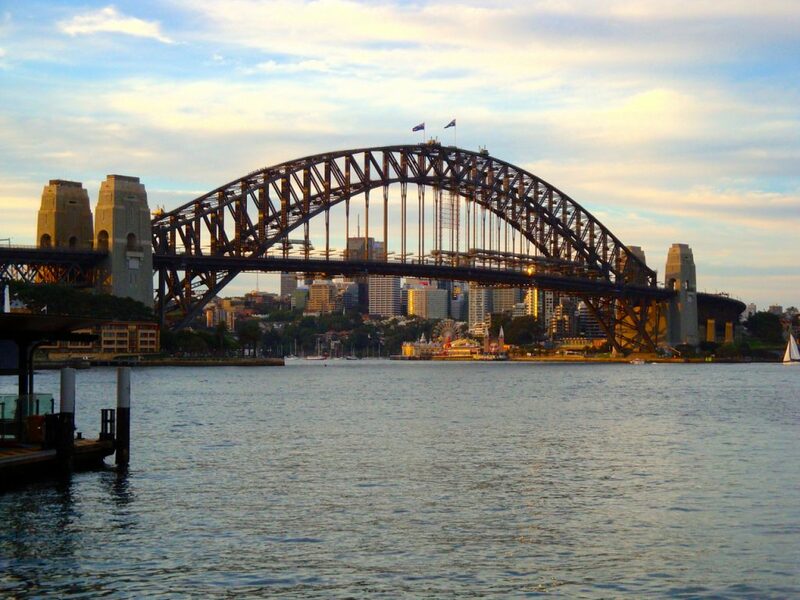 The ferry ride over provides magnificent views of the Opera House, the Harbour Bridge, and the city skyline, and Manly itself is full of fantastic cafes, beautiful beaches, and shops for all interests. The Manly Wharf itself is worth the trip across the harbour. 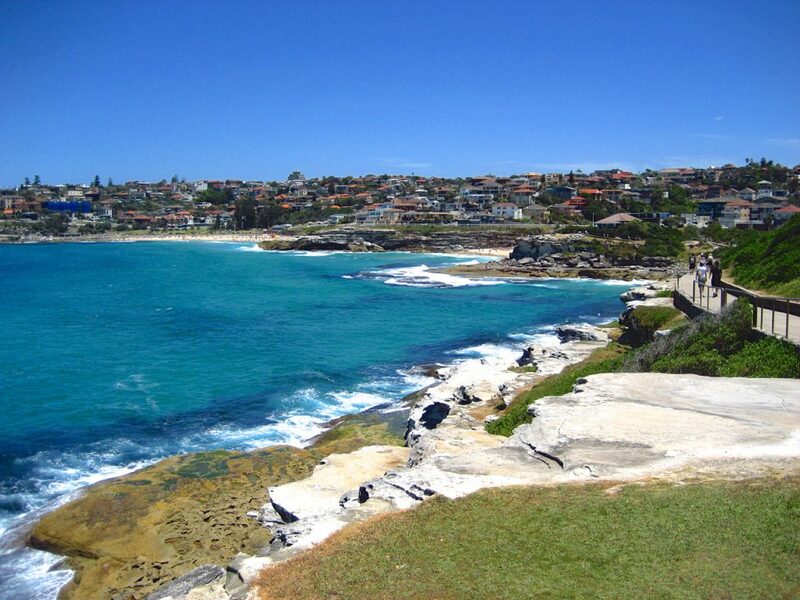 Do the Coogee-to-Bondi Coastal Walk- a magnificent walk along soaring bluffs, across hidden beaches, and through pristine suburban parks, the 3.7mile Coastal Walk is a great way to while away an afternoon, or to get the blood pumping early in the morning. Start in Bondi, start in Coogee- it doesn’t matter. Either way, you’ll have ample opportunity to grab a coffee to get you going before stating the walk, and a cold beer to cool you down upon your arrival. Its a win-win, for sure. Spend an afternoon on a local beach. 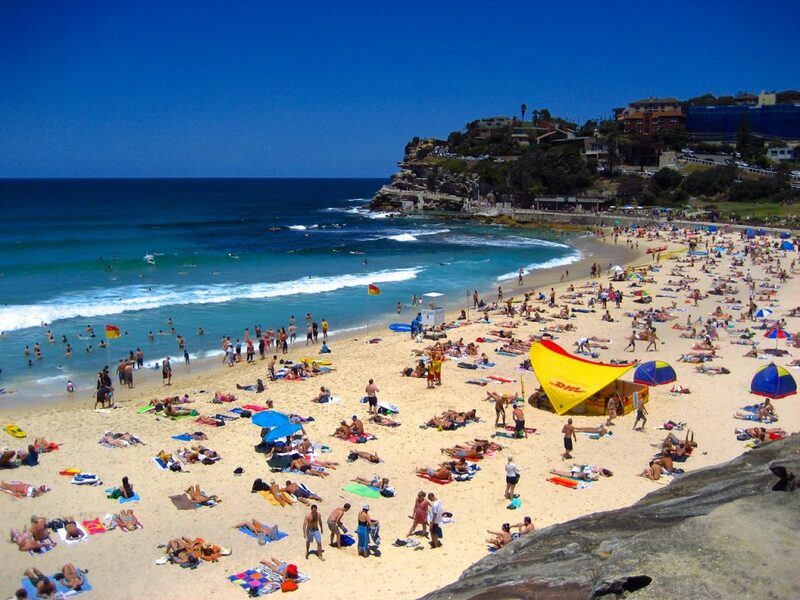 Sydney is famous for its cosmopolitan atmosphere set against its beautiful suburban beaches- Manly, Bondi, Coogee, Maroubra, Clovelly, Tamarama- just to name a few. 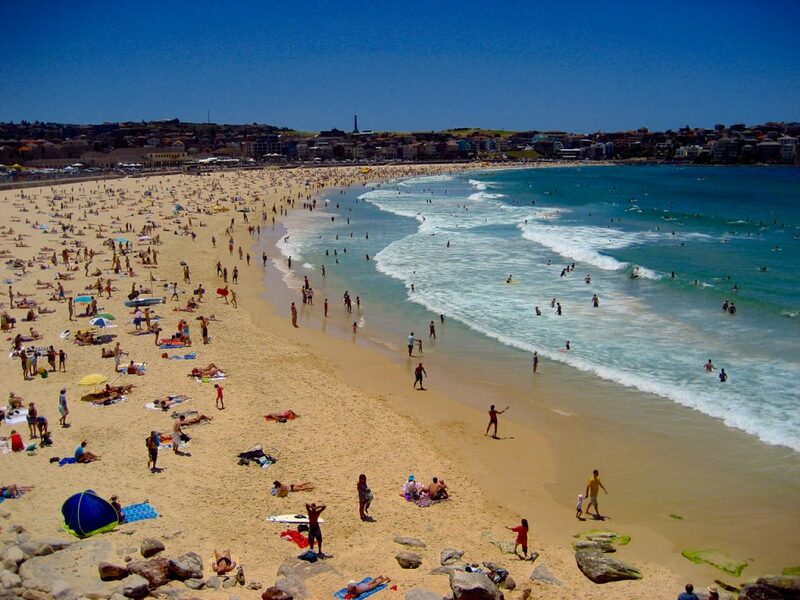 Whether you’re looking for big crowds and a place to see and be seen (Bondi), or a quiet little beach away from the hordes of sun worshippers (Tamarama), Sydney’s beaches have something for everyone. Make sure you ‘Slip, slop, and slap’ on the suncream! 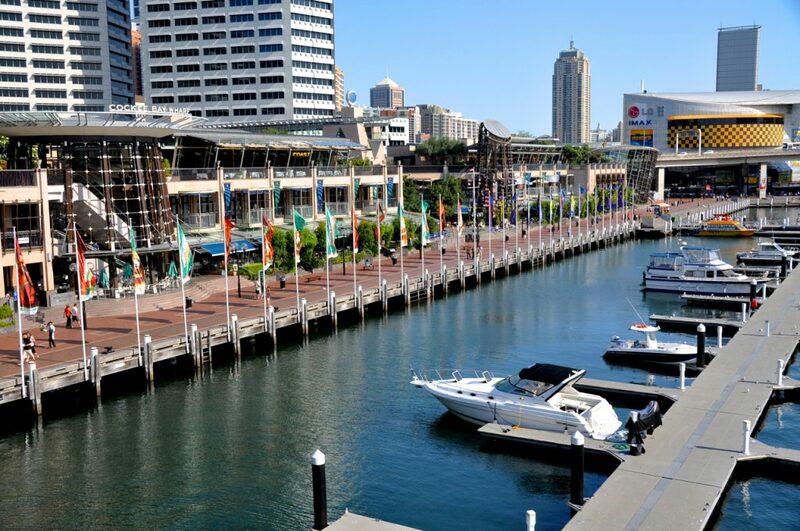 Have a ‘Night Out’ in Darling Harbour- full of innumerable restaurants, popular pubs, and trendy bars, Darling Harbour is one of Sydney’s premiere nightspots. 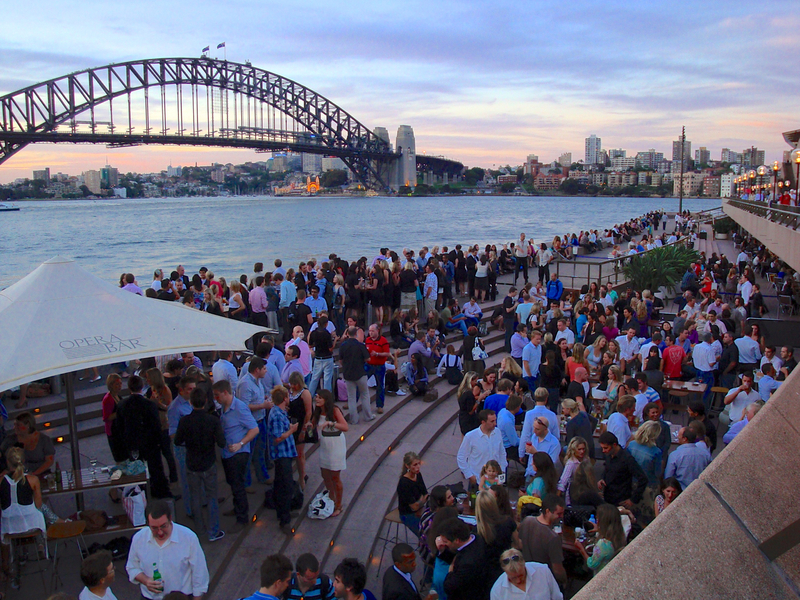 Start with dinner at one of the open-air restaurants along the waterfront, bounce along the pubs lining Cockle Bay Wharf, and end the night at one of the mad dance parties that break out at any of the happening bars. Good times. Visit some of the museums and attractions. Learn something about Sydney, Australia, and the history of the country by visiting any number of the following attractions- Toronga Zoo, the Sydney Aquarium, Wildlife World, the Sydney Tower, the Art Gallery of New South Wales, The Australian Maritime Museum, the Australian Museum, the Museum of Sydney- depending on how much time you have, any and all are worth a look. 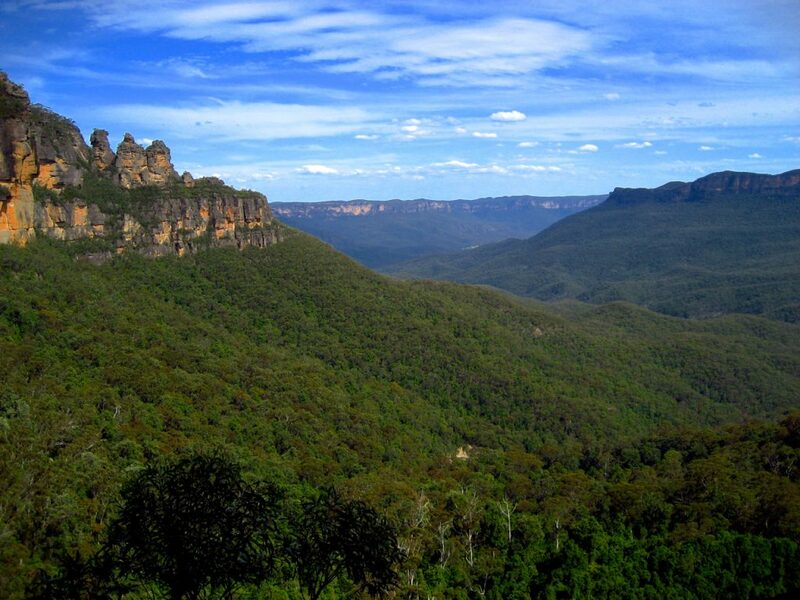 Take a trip out to the Blue Mountains. A short 2-hour train ride away, the town of Katoomba, located in the Blue Mountains, provides an excellent opportunity for a day/overnight trip outside of the city. Amazing views, great hiking/mountain biking/abseiling (Rappelling), and a laid-back, ‘mountain town’ vibe- the perfect respite for those weary of the city. Want to learn to surf? Check out the surf school at Bondi Beach, or just rent a board at any beach and have a go on your own. To lower costs, use the public bus system (http://www.sydneybuses.info/). They are easy to identify, simple to use, they go EVERYWHERE, the drivers are overly helpful, and they are so much cheaper than taking taxis. Internet- Many cafes will advertise ‘Free Wi-Fi’- just be prepared to buy a coffee or two, and don’t expect to sit long if it is busy. Local libraries and even McDonald’s has free Wi-Fi. For a great picnic (And a cheap meal...), buy some food at a grocery store and use one of the numerous free bbqs found in any of the parks in and around the beach areas. Beachside barbies- an Aussie Institution. Little-known suburbs such as Watson’s Bay and Rose Bay are great places to get ‘off the tourist track’ and find incredible cafes and deserted local beaches. If you’re looking for a good run, Bondi-to-Bronte and back is great, and the scenery will keep your mind off the fact that you may have had one too many Cooper’s the night before. If you’re staying downtown, try running east from the Opera House, around Maquarie’s Point, and down to Woolloomooloo Wharf, then heading back the way you came. End by running a few sets of stairs at the Opera House- again, it feels more like ‘sight-seeing’ than it does ‘exercising’, and I can’t imagine a more beautiful spot to cool down than the harbour-side balcony off the back of the Opera House. Sundays at the beach are CRAZY during the summer months (Dec-Feb)- all the locals come out with their families, groups of friends get together for barbies, and the beaches are PACKED. If you’re not a fan of big crowds, save your sunbathing time for a weekday. Otherwise, don your swimmers, grab your sunnies, and- as a favorite Aussie of mine likes to say- “Get amongst it!” A Summer Sunday spent on the beach is Sydney at its BEST. What’s on Sydney (www.whatsonsydney.com) has a complete listing of what is happening in and around the city- check it out for concert details, discounted tickets, info on music and art festivals, and anything else going on. A great resource. Check with your hotel/hostel booking desk about any deals/coupons they have for local discounts. You will find that often hotels and hostels will have exclusive deals set up with local attractions, restaurants, bars, and pubs, available only to those staying in their facilities. Sundowners at the Opera Bar- What.a.SCENE.